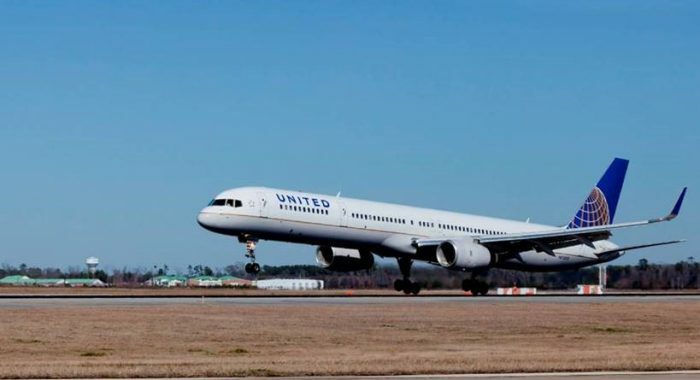 SHANNON, April 10, 2019 – United Airlines has resumed nonstop flights between Shannon and its New York hub, Newark Liberty International Airport, for the summer season. The service will operate daily until October 26, 2019 (westbound). The flights between Shannon and New York/Newark flights are operated by Boeing 757-200 aircraft with a total of 169 seats – 16 flat-bed seats in United Polaris business class, 45 in United Economy Plus and 108 in United Economy. United Polaris business class, United’s new business cabin, features a reimagined, sleep-enhancing experience for intercontinental travellers. The first phase of United Polaris is now available on board and features an elevated inflight food and beverage experience, custom bedding from Saks Fifth Avenue and exclusive amenity kits with products from Sunday Riley. United Economy Plus offers added legroom and increased personal space. Located near the front of the Economy cabin, the seats give the added benefit of allowing a swifter exit from the plane on arrival. Economy Plus seating is available on all trans-Atlantic flights. United Economy offers complimentary food, soft drinks, juices, beer and wine, tea, coffee and inflight entertainment. On most aircraft, seats feature an adjustable headrest and a personal on-demand entertainment system. United in Ireland United Airlines has been serving Ireland for over 20 years. In addition to the seasonal service from Shannon to New York/Newark, United today offers year-round nonstop flights from Dublin to New York/Newark and seasonal services from Dublin to Washington/Dulles and Chicago. All flights are conveniently timed to connect at United’s U.S. hubs with an extensive network of services to destinations throughout the Americas. Customers can book by visiting united.com, calling 1890-925-252 or their travel agent. United operates the largest hub in the New York City metropolitan area at Newark Liberty International Airport. Located just 14 miles from downtown Manhattan, the airport offers the fastest surface transfer journeys to many parts of the city, including the AirTrain service to New York Penn Station in midtown Manhattan, with a journey time of less than 30 minutes. The airline operates approximately 400 daily flights out of its Newark hub to over 160 destinations across the U.S. and internationally. United’s Terminal C at EWR continues its $120 million upgrade with a range of new dining creations and a new United Polaris lounge for international business class customers. Every customer. Every flight. Every day. In 2019, United is focusing more than ever on its commitment to its customers, looking at every aspect of its business to ensure that the carrier keeps customers’ best interests at the heart of its service. In addition to today’s announcement, United recently released a re-imagined. version of the most downloaded app in the airline industry and made DIRECTV free for every passenger on 211 aircraft, offering more than 100 channels on seat back monitors on more than 30,000 seats. The multimillion-dollar investment in improving inflight entertainment options will benefit the more than 29 million people expected to fly United’s DIRECTV-enabled planes this year. About United United’s shared purpose is “Connecting People. Uniting the World.” We are more focused than ever on our commitment to customers through a series of innovations and improvements designed to help build a great experience: Every customer. Every flight. Every day. Together, United Airlines and United Express operate approximately 4,900 flights a day to 355 airports across five continents. In 2018, United and United Express operated more than 1.7 million flights carrying more than 158 million customers. United is proud to have the world’s most comprehensive route network, including U.S. mainland hubs in Chicago, Denver, Houston, Los Angeles, New York/Newark, San Francisco and Washington, D.C. United operates 779 mainline aircraft and the airline’s United Express carriers operate 569 regional aircraft. United is a founding member of Star Alliance, which provides service to 193 countries via 28 member airlines. For more information, visit united.com, follow @United on Twitter and Instagram or connect on Facebook. The common stock of United’s parent, United Continental Holdings, Inc., is traded on the Nasdaq under the symbol “UAL”.